He also infiltrated rank and file groups including the Building Worker Safety Campaign, the meetings of which he chaired at the Colin Roach Centre in Hackney. Jenner / Cassidy also targeted RMT, Unison, CPSA, TGWU and was on numerous picketlines including Dahl Jenson at Waterloo, JJ Fastfoods at Tottenham Hale and L.B. Southwark DLO. Mark Cassidy / Jenner was first publicly named in by an article by journalist & union activist Mark Metcalf and in Blacklisted book by Phil Chamberlain & Dave Smith. The Met Police issued a public apology to 'Alison', the activist he lived with during the five years of his deployment. 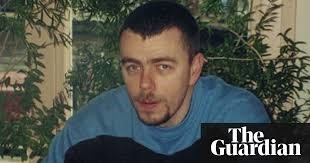 It is shameful that the Met and the public inquiry have taken so long to admit that Mark Cassidy was an undercover police officer from the Special Demonstration Squad, something that everyone has known for years. 'Alison', Mark Metcalf, UCATT (now part of UNITE) and blacklisted workers Brian Higgins, John Jones, Steve Hedley, Frank Smith, Dan Gilman & Dave Smith (who attended meetings, protests and pickets with Mark Cassidy / Jenner) have all been granted core participant status in the undercover police public inquiry. This public confirmation about Mark Cassidy comes just a week after the Met confirmed that police provided information to the building industry blacklist. Blacklist Support Group send a huge hug to 'Alison' and all the women activist at Police Spies Out of Lives for their inspirational battle to force the authorities to tell the truth about the undercover police officers that abused them.